100% tout neuf et de haute qualité. Clés latérales amovibles verrouillées à clé qui peuvent fournir un accès facile. Il a un ventilateur de plafond et des fentes d'aération pour garder votre équipement au frais. Super durable pour une utilisation de longue durée. Bouches d'aération sur les deux portes avant et latérale. C'est parfait pour organiser votre équipement de réseau. Facile à utiliser et à utiliser. 18U [1 mt H]. In the last few years prices of server racks have been high, but Rack Supplier has succeeded in reducing their prices while maintaining very high quality. Server Cabinets. Cabinet accessories. PDU power distribution unit. 6 sorties 10 amp C13 1 prise standard. Der Lüfter saugt Außenluft vorne bzw. hinten an - je nach Einbau - und pustet sie in das Rack. Ein Schukostecker ist derzeit montiert, somit kann ich einen einfachen Test durchführen, indem ich das Teil mit Strom versorge. Portes frontale et arrière sécurisées à clé. Solution modulable pour accueillir l'ensemble de vos accessoires. Vidéo de présentation Importateur de solutions. Portes frontale et arrière sécurisées à clé. Solution modulable pour accueillir l'ensemble de vos accessoires. Importateur de solutions. Baie de brassage informatique 42u bull ESCALA H202/P114/L65,5 cms . Baies de brassage Bull ESCALA H202/P114/L65,5 cms. Degré de protection : IP20. Les panneaux latéraux amovibles facilitent l'installation et l'entretien des accessoires de réseau. Veuillez noter qu'il n'y a pas de ventilateur inclus. Certaines commandes ne sont pas expédiées par colis, de par leur taille et leur poids. Features: 100% brand new and high quality. Key locked removable side panels which can provide easy access. It has a ceiling fan and venting slots to keep your equipment cool. Super durable for long time using. Air vents on both front and side door design. It is perfect to organize your networking equipment. Easy to use and to operate. Used but in gr at condition. 19" 1U rack mount cooling unit with 4 fans - Cheapest on ebay. Condition is Used. Dispatched with Royal Mail 1st Class. I bought 3 of these for a few servers in my place but turns out then I'm never really switch them on. BAIE SERVEUR ' DELL C5810 " H200 X L62 X P100 CMS. ASA 5512-X through to 5555-X 120 Gb mlc SED SSD. Genuine Cisco part in a sealed box unused. Baie avec rayure ,vendu sans clef ,charnière porte avant en bas HS . WP WPN-RNA-42808-BS. Type: Freestanding rack. EAN : 8056045875556 -Réf. Baie serveur rack informatique. Montée sur roulettes. Pensé pour les professionnels, le 111-6412 est livré en kit pour le rendre transportable dans tous vos lieux d'installation. Modulable pour accueillir l'ensemble de vos accessoires. ARLI mur affaire 4u. 19 « réseau SOHO Cabinet. Marke ARLI. Capacité en rack : 4U. Version SOHO. Rack-Kapazität 4U. Breite Rack-Einheit 19". Idéal pour toutes les applications courantes de l’informatique et des télécommunications. Espace entre GPU optimisé. Hauteur : 175mm. Largeur : 560mm. Longueur : 650mm. Capot renforcé. 42U Server Rack Cabinet 800mm (W) x 1000mm (D) 19" Server Rack. 42U 800mm x 1000mm server rack/cabinet. This 42U 800mm x 1000mm server rack/cabinet is perfect for storing network and server hardware. Server cabinets 22U. Perforated front and rear door. In the last few years prices of server racks have been high, but Rack Supplier has succeeded in reducing their prices while maintaining very high quality. 12U Server Rack Cabinet 600mm (W) x 1000mm (D) 19" Server Rack. 12U 600mm x 1000mm server rack/cabinet. This 12U 600mm x 1000mm server rack/cabinet is perfect for storing network and server hardware. Platzsparend durch 1HE Einbauhöhe. integriertes Weitbereichseingangsnetzteil ( 120 - 230 VAC ) mit IEC 320 Buchse und Schuko-Netzkabel. Eine gebrauchte Rackconsole RC23. Tastatur QWERTZ. formschlüssige Vollauszugschienen. Rack capacity 12U. Type Freestanding rack. Mounting depth (max) 101.7 cm. Mounting depth (min) 56 cm. Adjustable mounting rails Yes. Depth 590 mm. you can buy in set of 6 max. Mounting hole shape Square. Server cabinets 18U. In the last few years prices of server racks have been high, but Rack Supplier has succeeded in reducing their prices while maintaining very high quality. Server cabinets 6U. Server cabinets 9U. Stabile doppelte Einfassung auf Front- und Rückseite. Rack-Gehäuse RCA. Gewicht: 30 kg. Maße: 12HE (585 x 585 x 767 mm). 4 Gummifüße und 4 drehbare Rollen inklusive. Server cabinets 22U. In the last few years prices of server racks have been high, but Rack Supplier has succeeded in reducing their prices while maintaining very high quality. Server cabinets 6U. Server cabinets 9U. 18U Server Rack Cabinet 800mm (W) x 1000mm (D) 19" Server Rack. 18U 800mm x 1000mm server rack/cabinet. This 18U 800mm x 1000mm server rack/cabinet is perfect for storing network and server hardware. 24U Server Rack Cabinet 800mm (W) x 1000mm (D) 19" Server Rack. 24U 800mm x 1000mm server rack/cabinet. 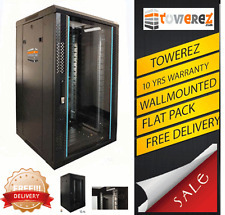 This 24U 800mm x 1000mm server rack/cabinet is perfect for storing network and server hardware. 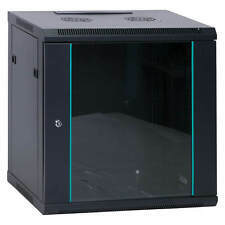 DAP 19" Server Rack mit Glastüre. Rack-Gehäuse RCA. Kapazität: 32 HE. Höhe: 1610 mm. Gerätetiefe: 561 mm. Tiefe: 800 mm. Breite: 600 mm. 45U Server Rack Cabinet 800mm (W) x 1000mm (D) 19" Server Rack. 45U 800mm x 1000mm server rack/cabinet. This 45U 800mm x 1000mm server rack/cabinet is perfect for storing network and server hardware. Ca. 61cm, max. Flachbildschirm: TFT - 15"/ 38,1cm. Display-Typ: Flachbildschirm / TFT-Aktivmatrix. Tastatur: QWERTY. Batterien oder Akkus, die Schadstoffe enthalten, sind mit dem Symbol einer durchgekreuzten Mülltonne gekennzeichnet, wie das nebenstehende Symbol. Modell: IBM 32P1703. inklusive Rackschienen und Anschlusskabel. Tastaturlayout: QWERTZ. Behandlung Ihrer Daten. Sie sorgen selbst für das Löschen personenbezogener Daten auf den zu entsorgenden Altgeräten. Colore: Nero. Nel dubbio,firmare con riserva. Ci impegnamo sempre al massimo per favorire ogni esigenza! Ingresso Cavi dall'Alto e dal Basso. Server cabinets 15U. In the last few years prices of server racks have been high, but Rack Supplier has succeeded in reducing their prices while maintaining very high quality. Cabinet accessories. 10" wall cabinet. In the last few years prices of server racks have been high, but Rack Supplier has succeeded in reducing their prices while maintaining very high quality. Cabinet accessories. 10" wall cabinet. Wall mounted cabinet. Lüftung: Seitenteile. Stabile doppelte Einfassung auf Front- und Rückseite. 4 Gummifüße und 4 drehbare Rollen inklusive. Höhe:1180 mm. Light and Music. Gewicht:29 kg. Breite:460 mm. Länge:560 mm. Faites-nous savoir votre numéro de téléphone, nous vous appellerons. Poids: 33,5 kg. 4 pieds en caoutchouc et 4 roues pivotantes inclus. Stable double douille sur devant et dos. 1,5 mm métal mat boîtier anodisé. Cage Nuts and Screws for 19" Rack Mount Size M6 Black ! !Pack of 50! !